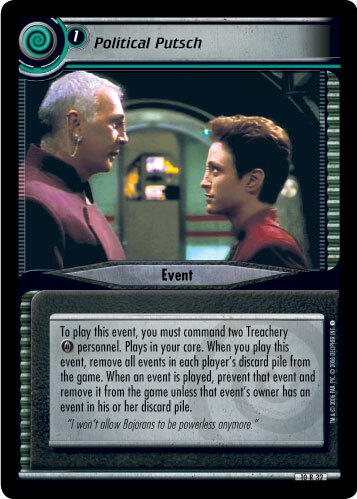 To play this event, you must command two Treachery personnel. Plays in your core. 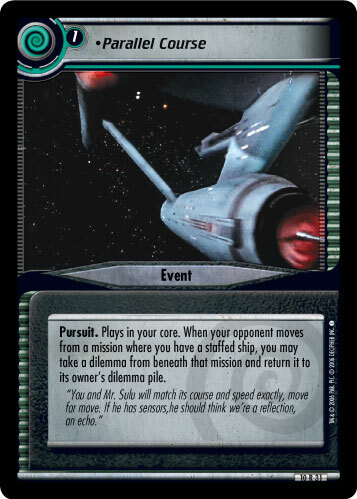 When you play this event, remove all events in each player's discard pile from the game. When an event is played, prevent that event and remove it from the game unless that event's owner has an event in his or her discard pile. 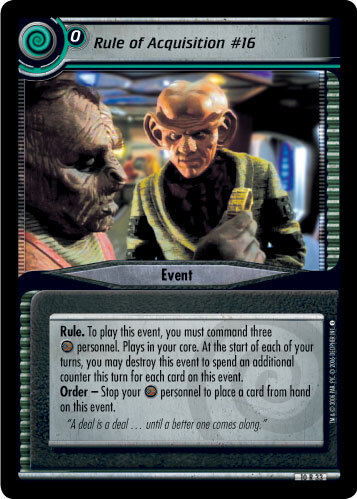 "I won't allow Bajorans to be powerless anymore."